Great for women and men! Beauty blogger Midori Lei has written several columns just on eyebrows! Why? As Midori explains, "Your eyes are the most identifying facial feature that makes you look like you. Now think about it, your eyebrows frame your eyes. That's why they're so important." Valentine of Bellisima Salon agrees that the shape of your brows defines your face, which is why she is known in Simi Valley as a brow expert! As a brow threading specialist, she can control the exact look of your brows and get those pesky hairs that escape waxing or plucking. 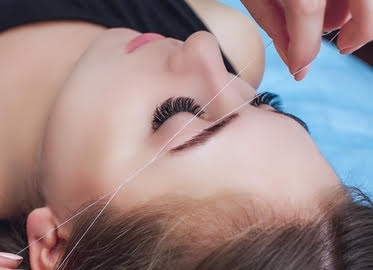 Plus, if you use any strong exfoliating products on your skin, threading is much safer than waxing! Microblading is essentially like a semi-permanent tattoo-results last between 12-18 months-but the strokes are so small that they resemble individual eyebrow hairs. Perfect for those of us with thinning brows (I had the procedure done about 4 months ago, and my brow pencil has been in retirement ever since! ), or for anyone who wants a fuller brow look. We are plucking more than 50% off of Valentine's retail prices! Get one eyebrow threading session for $10, three eyebrow threading sessions for $25, or microblading for just $249!